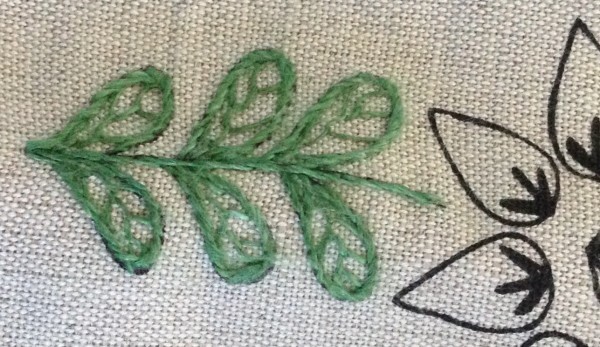 Feather Stitch is a beautiful stitch. I should use it more often. Here they are on a Crazy quilt. 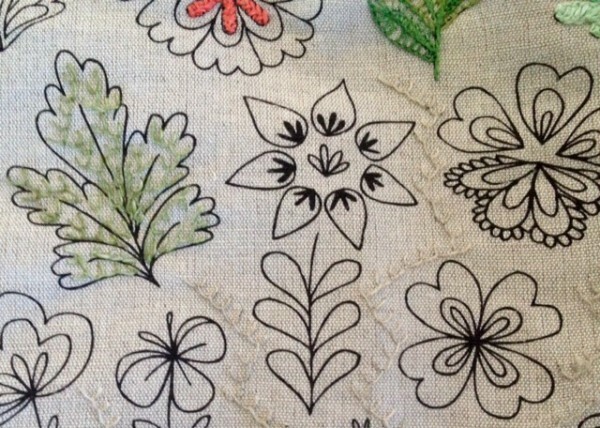 There are not many flowers on my new ”Flowers of Paradise” cloth suitable for Feather Stitch. I did only a few leaves and I am not very pleased with the result. 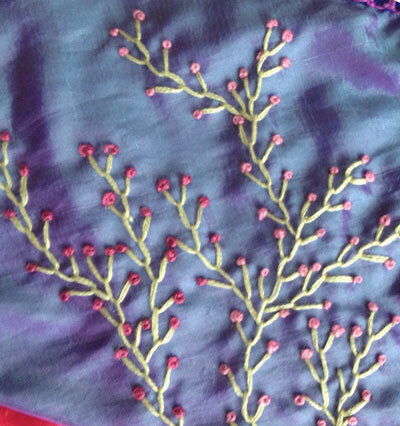 So I worked som background stitches instead, whith threads drawn from the edge of the fabric, just to add some texture. This entry was posted on måndag, augusti 3rd, 2015 at 10:38	and is filed under Broderi, TAST (in English). You can follow any comments to this entry through the RSS 2.0 feed. Both comments and pings are currently closed.